Online class registration ends on the day before the quarter begins. The enrollment calendar provides details on important dates and deadlines. To register for classes, you need to have a registration time. You may see or hear this referred to as a “registration appointment”, but this is NOT the time for you to meet with an advisor. It is the date and time you can begin registration. Continuing students are assigned registration priority based on the total credits completed at BC. New and returning students are assigned access after continuing students. New and returning students should be able to see their registration time online at least 2 weeks prior to the registration period for new and returning students. You can look up your registration access date and time online. New transfer students who have earned credits from an accredited institution and are planning to pursue a degree at BC are encouraged to bring unofficial copies of their college transcripts to Student Central by the third week of their first quarter of attendance. A maximum of 60 transfer credits will be used to reflect cumulative credits for registration appointments in future quarters. This use does not mean that the transfer credits will satisfy degree and certificate requirements at BC. 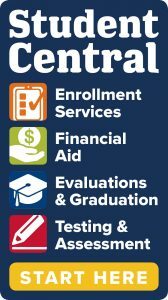 From time to time, we allow enrollments of special populations or programs. These special registrations will not follow the regular college registration calendar. Some courses have prerequisite requirements. You may be required to complete a specific course (often with a certain minimum grade) or demonstrate a skill before you can enroll in a more advanced course (for example, first-year French is a prerequisite for second-year French). To check if you have met the course prerequisite, see the course description in Credit Class Schedule. If you completed the prerequisite at another college or university, visit the Course Prerequisites website to find out how to verify completion of the prerequisite.